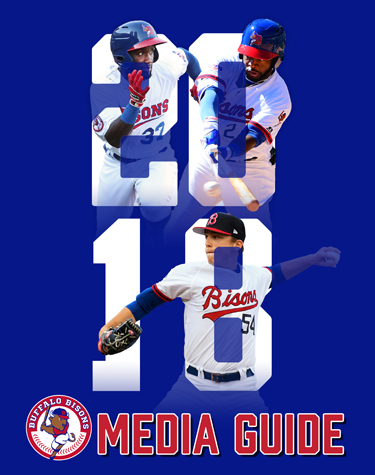 The 2018 Buffalo Bisons Media Guide was published with information up to March 28, 2018. Click on the links below for a pdf of the various sections of the media guide or click on the cover of the media guide to download the entire book (warning, the book is about 5 MB in size). To request further information, please send an email to info@bisons.com. For the latest in Bisons news and information, follow us at Twitter.com/BuffaloBisons.